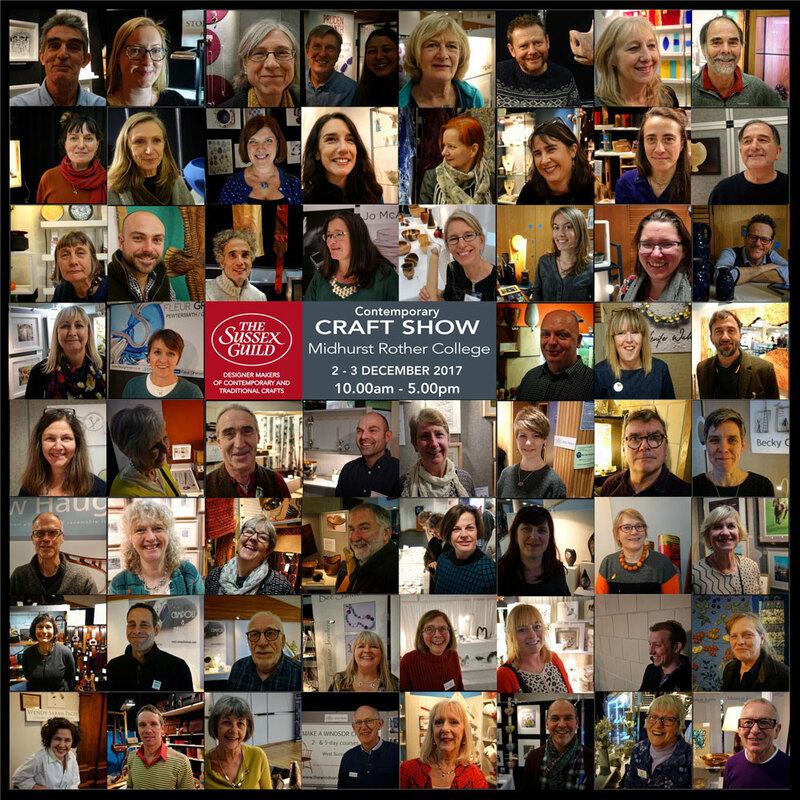 Another very busy year is coming to an end and I thought I would slip in one more newsletter. 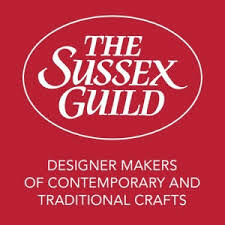 There are new dates for 2018; a settee course in March for those that that like a challenge; a 4-day course in January; and lots of great chairs made by former students. I hope you have enjoyed this year’s newlsetters and perhaps they will inspire you to take the plunge into chairmaking, or take it further if you have already begun! I wish you a very happy Chirstmas! Courses, as gifts, are becoming ever more popular as people move away from giving things to giving experiences! I can offer custom-made vouchers for weekend, 4-day and 5-day courses. The voucher can be for a particular course, or the recipient can choose a course at their convenience. As the giver of a voucher, you can pay the deposit or the full amount, whichever you prefer. Any balance is due at the start of the course. Get in touch if this is of interest and I will help in any way I can. 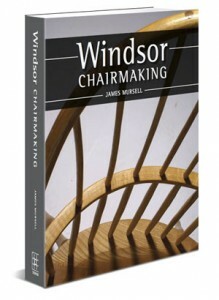 The second printing of ‘Windsor Chairmaking’ is available from the website – everything one needs to know to make a chair! 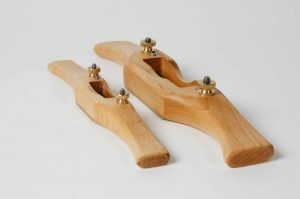 Tools for aspiring chairmakers are always popular, with travishers, spokeshaves and rasps on offer. Course dates through to the end of July 2018 are now on the website. Click here for details. 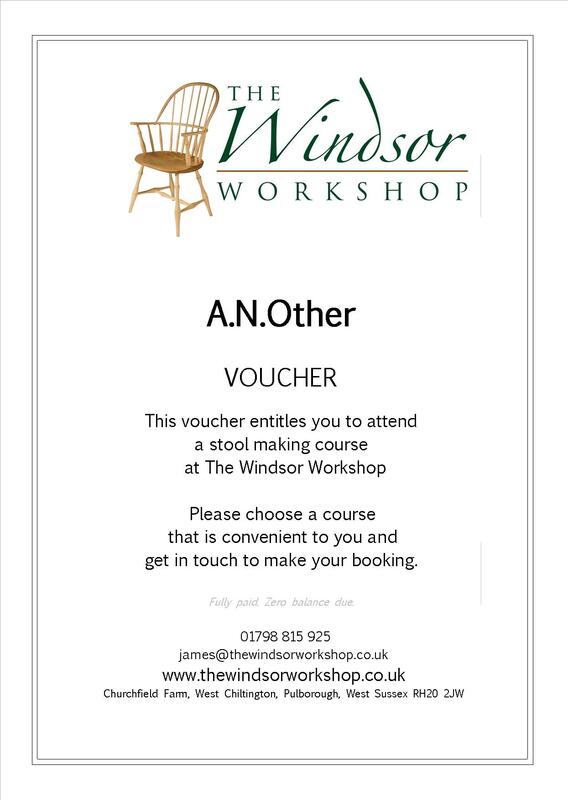 There is a choice of weekend stool courses, a 4-day chair course and the regular 5-day courses. I try to offer one settee course per year. 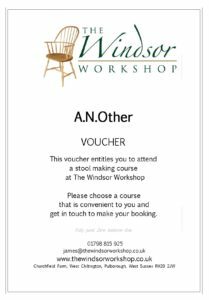 It involves almost all the challenges of Windsor chairmaking in one piece and is a real challenge to complete in 5 days, but everyone has succeeded to date! If you have a spot in your house for a compact 2-seater and have already made a chair, why not have a go?! 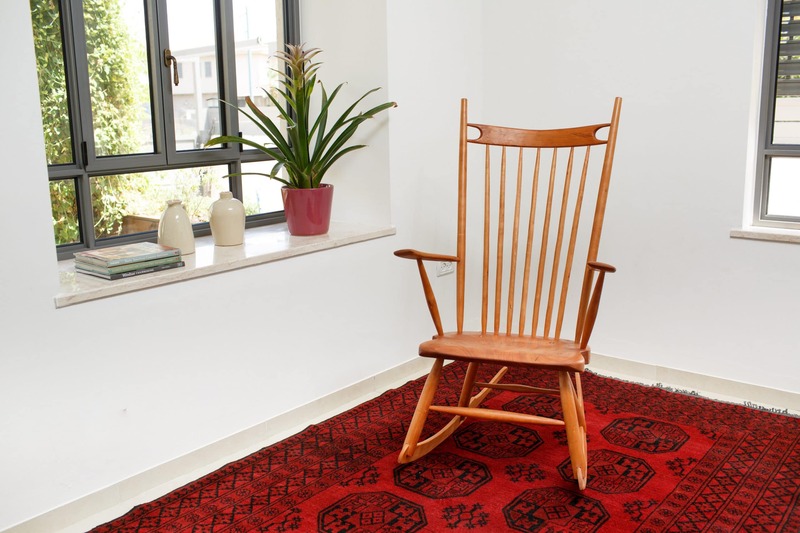 The first 4-day course for this chair will run 22-25 January (Mon – Thurs). The chair has proved very popular at the last two shows that I have attended. It will work well at a table, as a work chair (no arms to get in the way!) 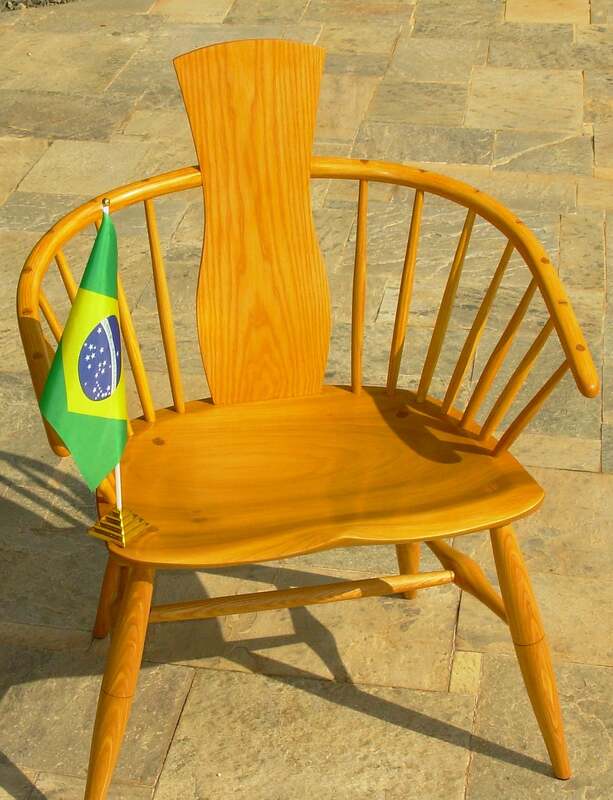 and as a bedroom chair. Do contact me if you are interested. The guild puts on shows around the county (East and West) throughout the year. We had our final show last weekend at Midhurst and it was a great success! 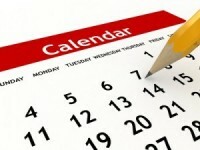 Do have a look at the website for next year’s dates. My first show will be in Horsham 7/8 April. Hope to see you there! Crown Windsor: Riccardo came on the first Crown Windsor course back in March and he was my first visitor from South America – Brazil! He took his chair home as a flat-pack in his suitcase and has recently assembled and finished it to a very high standard! 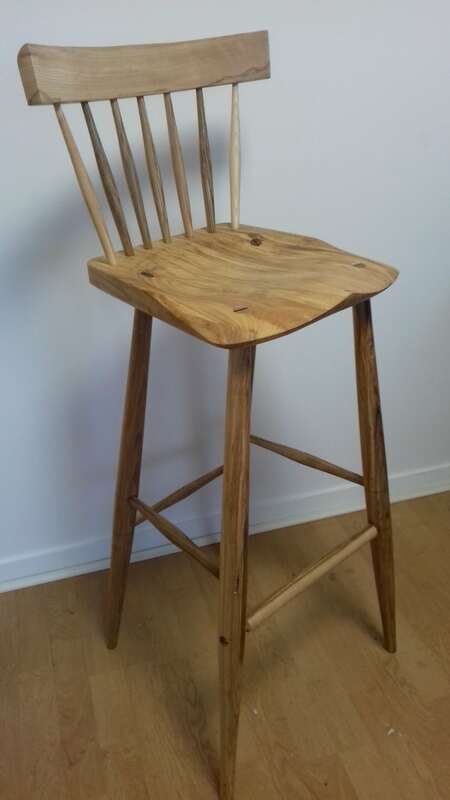 Bar Stool: Roger has attended a number of courses and this bar stool is his latest creation, with a sweet chestnut seat and coloured ash for everything else. 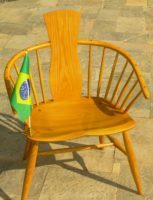 Rocking chair: Erez, from Israel, visited last year and has continued to make chairs, in spite of almost no native wood being available. 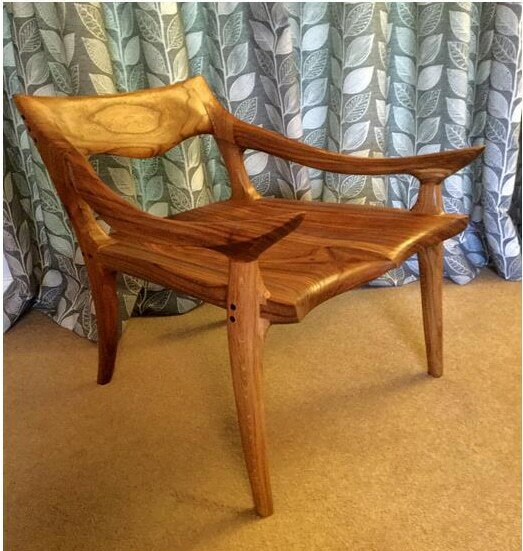 His latest rocking chair is of Peter Galbert’s design and is stunning! Modified Sack-back: Andrew has been on a couple of courses and this time he wished to do something a little different. 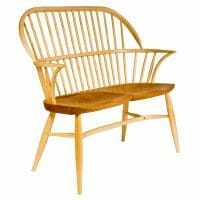 He wanted to lose the spindles below the arm at the back of the chair and also take the hollow of the seat to the back edge. It is very comfortable and quite intriguing! Contemporary Comb-back: Ian has taken a couple of courses and is in the process of setting himself up properly for chair making. This is his first solo chair. 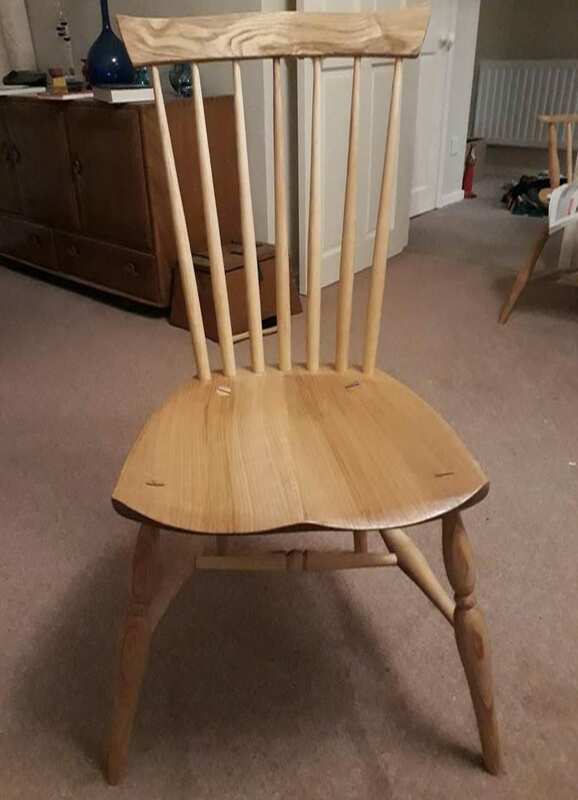 I look forward to seeing a stream of new chairs as he fulfils his ambition to surround his dining table with a complete mixture of Windsor chairs. I can vouch for the fact that this is a great idea! 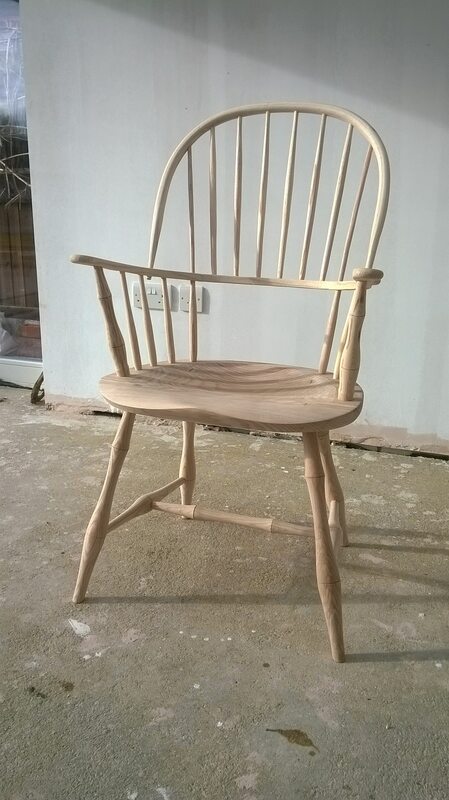 Malloof armchair: Charlie came on a course a number of years ago and continues to make chairs. 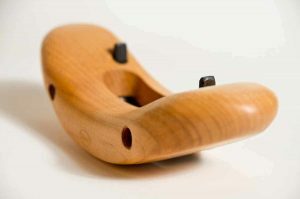 This beautiful example is designed by my hero, Sam Malloof. Although not a Windsor, Chalrie notes that the base of the seat has a wonderful rippled texture, created with his travisher across the grain!